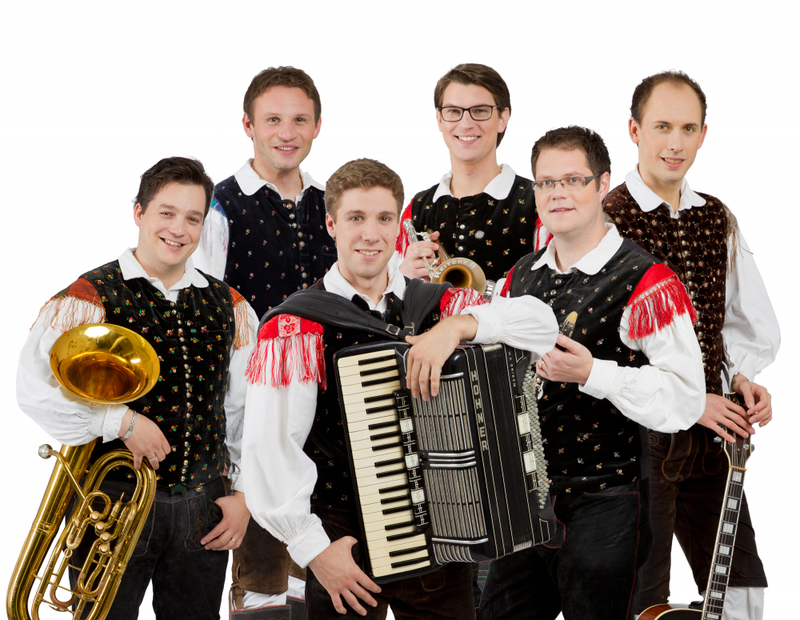 Ansambel bratov Avsenik is Slovenia's most popular music band and probably the world-famous folk music ensemble. His grandson Sašo Avsenika keeps the family tradition alive. The band was active during 1953 and 1990 and paved the way for the Oberkrainer music. Over these years, the their original Oberkrainer sound became the main vehicle of ethnic musical expression for coutries like Austria, Germany, Croatia, Switzerland, Italy and the Benelux countries, spawning hundreds of Alpine orchestras in the process. They performed over 10,000 concerts all over the world and sold more than 32 million records. The most popular song of the band is the polka titled "Na Golici" or "Trumpet Echoes" in English. It is is considered to be the most played instrumental song in the world. Their legacy lives on in his grandson's ensemble Sašo Avsenik ensemble. He is the third generation successor’s genuine Avsenik melodies. Sašo Avsenik ensemble has yearly over hundred concerts in countries all across Europe and today they will stop in Planica.